Vector graphics of one of the national symbols of Canada. Waving flags of the country with different sizes. Curved fabric with vertical stripes and maple leaf silhouettes. 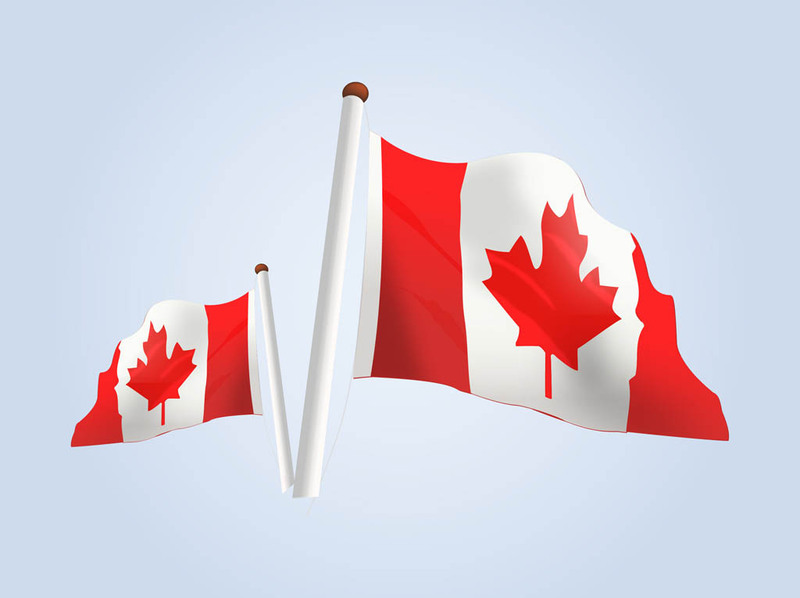 Free vector graphics for Canada, Canadian, national symbols, flags, countries, traveling, maple leaves and patriotism designs. Tags: Canadian, Country, Maple Leaf, National, Pole, Symbol, Waving.